Trasers Insights Map is a quick guide to understanding the classifications of Trasers reports. We have organized, segregated and published reports for easy navigation and accessibility with fewer clicks. This map helps you to familiarize yourself with how the reports are categorized. We have covered 10 business functions across 16 industries, aiming to support different C-Suite roles with meaningful digital insights. 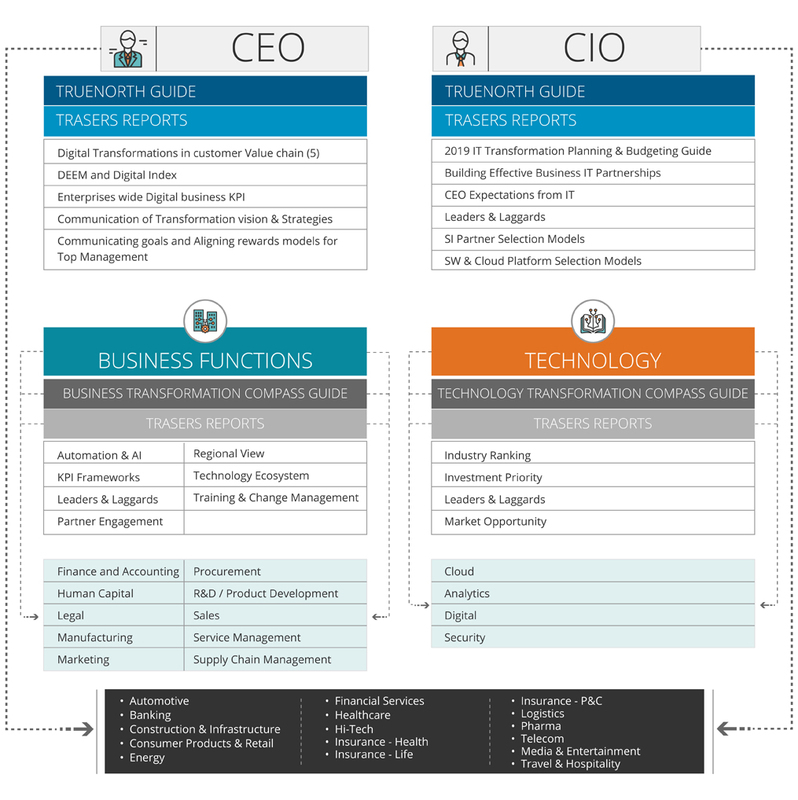 Each Industry, Function, and Role has its own business transformation research report. With this key information asset, you can now navigate and choose reports based on preferred role, function, and industry.